How energized do you feel in your career? How energized do you want to feel? Is there a gap there? Today I want to share a simple yet effective framework for closing that gap and improving your here-and-now, regardless of whether you love or loathe your job. When clients come to me for career change coaching, typically they feel frustrated, stuck, and impatient. They’re ready for a change, and they want it yesterday! Since very few people can simply jump ship immediately, we often spend some time early in the process exploring how to make their here-and-now better to free up emotional and energetic space so they have more room to move forward. The process outlined here emerged from that work. The first step is to start developing an “energy management” mindset. Simply put, energy management is about making decisions and taking action that leaves you feeling more energized and alive and less drained and depleted. One way to approach your energy management efforts is “maximizing the Gain-to-Drain Ratio.” Visually, it’s a fraction, Gain over Drain. The idea is to bring as much as possible into your life that energizes you and reduce or even eliminate as much as possible of what drains you. 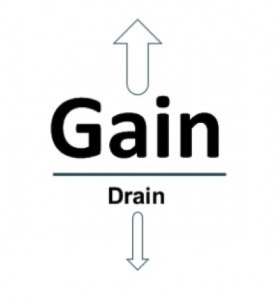 The Gain-to-Drain Ratio provides a structure for what I call a “personal energy audit.” Pick one area of your life – in this case, work – and ask, “What energizes me here? What drains me?” Make a list of the answers to each of those questions. But nothing happens at the broad brush level. The broad brush is actually the sum total of a lot of smaller things, both positive and negative. The solution at a broad brush level can only be big and drastic – like a career change. At a more granular level there is much more that can be done to shape your experience in a positive way. What about this gives me energy? What about this is fun? What leaves me feeling engaged? What feels rewarding about this? What do I feel drawn to experiencing more of? What leaves me feeling confident? What feels in the groove with my natural way of working? What about this drains my energy? What about this is a drag for me? What about this do I dislike? What do I wish I could avoid? What leaves me feeling tired and flat? What leaves me feeling insecure and uncertain? What leaves me questioning my abilities? What feels counter to my natural way of working? While the focus of this blog post is your current job, keep in mind that the same idea is applicable in all areas of your life (relationships, health, finances, etc.). In fact, because your life is actually a holistic, interconnected system, not a collection of isolated silos, bringing an energy management approach to each area of your life can have a positive effect on how energized you feel at work. 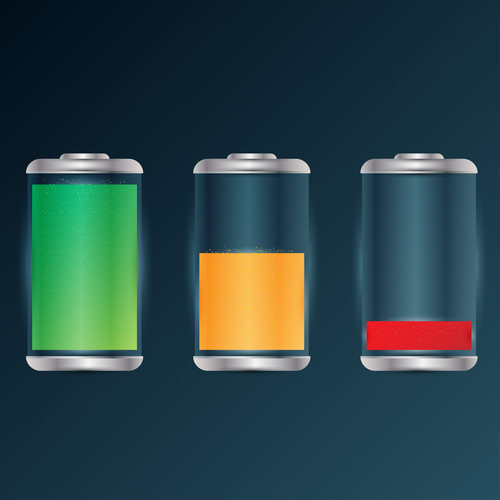 The resulting list of Gains and Drains is the starting point for your active energy management efforts. The point of the energy audit is to provide you with specifics to work on. For example, when one client did this process, one of the Gains he identified was coaching and mentoring people. He realized an easy way to add more of what energizes him was to start proactively reaching out to new hires to help them learn the ropes in the new-to-them company. You can also ask the question, “How can I bring more of what gives me energy into my work day?” That might be work-related, or it might be a non-work addition to your day like going for a brisk walk at lunch. Change what you do: Change the activity, task, or situation that is draining your energy. This might involve eliminating it altogether, or swapping a task or responsibility with a co-worker who is more suited for it. Change how you do it: If you can’t change what you do, explore if there is a way to do it that feels less draining. For example, one client who worked remotely realized they felt too isolated and alone in their work, so they started exploring options (like coffee shops and co-working spaces) where they could be around other people. Change how you perceive it: If neither of those is feasible, you can change your story about it. One example of this is the client who was feeling drained by taking on everyone else’s “emergencies” (fires that needed putting out, rushed deadlines, etc.). He decided he would help if he could and he had time, but that they weren’t his emergencies, so he didn’t need to take on the stress. He simply chose to tell a different story. It’s amazing how much potential for positive change there is right between your ears. Do a Regular Energy Scan – and Act on It! This is not a one-time thing. In fact, it’s something you can put to use every day. That could be as simple as habitually noticing what is energizing and draining and making adjustments as you go. It could also be something a little more structured, like doing an end-of-day review (What energized me today? What drained me?). If daily feels like too much, try it weekly. Whatever your current situation, you can improve your here-and-now experience by consistently looking at it through an energy management lens and letting that guide your choices and actions. .To learn more about Curt Rosengren’s coaching services, visit CurtRosengren.com. Great article. I have a job where most of my activities are gain, but one of them totally clobbers me. I tried focusing on increasing the gain but it didn’t help because it still clobbered me. Now I will turn to changing how I do it. I tried doing that in the past but was so clobbered I could not. Now I have additional experience with getting clobbered and a renewed desire to work differently and I think I can pull it off.